SAN DIEGO, Calif. -- The University of Tennessee volleyball team defeated No. 16 University San Diego in four sets Saturday night en route to capturing their 900th win in program history. This is the first time since 2011 the Lady Vols have defeated two ranked teams in the same season. They took down No. 22 Michigan State in four sets to open the season at Thompson-Boling Arena. After dropping a closely contested first set, Tennessee jumped out to a quick lead against the Toreros in the second. A kill from junior Tessa Grubbs gave the Lady Vols a three point edge at 5-2. They continued to battle with the Toreros before a 6-0 run at 18-18 including two more kills from Grubbs helped close out the set. Tennessee had both left pins working all night with a breakout performance from freshman Raquel Perinar. 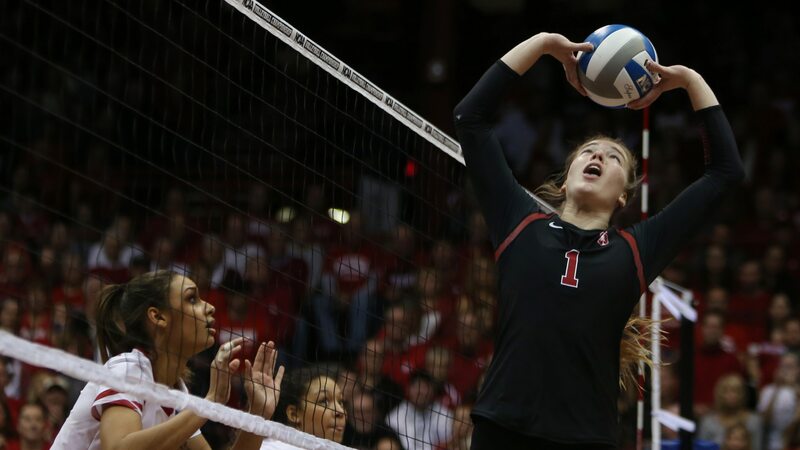 The Channahon, Ill. native led the team with 15 kills on the night hitting .387 on 31 swings. Perinar provided nine of those kills in the final two frames to help stave off San Diego. Roxie Wiblin leads the San Diego with 17 kills but it's just not the Toreros night. After winning the third set nearly wire-to-wire, Tennessee trailed 18-13 to the Toreros in the fourth. Two kills and a block from Perinar were a part of a 8-2 Lady Vols run that put them in front. Tied at 22-22 with redshirt junior Breana Jeter on the service line, junior Sedona Hansen set up Grubbs for her 14th kill of the night, giving Tennessee the lead for good. Kaity Edwards powers her 10th kill of the night straight ⬇. This is the second win over a ranked opponent this season. The first came over No. 22 Michigan State in coach Eve Rackham's debut. This is the first time since the 2011 season the Lady Vols have defeated two ranked opponents. That season, Tennessee won the SEC Championship. The Lady Vols doubled up the Toreros in blocks finishing with 16 which was the third highest of the season. Junior Breana Jeter led the way with seven including six blocks assists. Senior Erica Treiber continues to hit at a high clip out of the middle. She finished with a team-high .474 hitting percentage tallying 11 kills on the night. With a team-high 26 assists in the match, Sedona Hansen is now 16 assists away from tying Kelsey Mahoney for ninth on the career assists list in Tennessee history. The Lady Vols are off until Sept. 14 when they travel to Dayton for the Flyer Invitational. The field includes host University of Dayton, Ohio State University and Evansville University. Tennessee opens the weekend with a Friday night match against the host Flyers at 7:00 p.m. (ET). The game can be seen on ESPN+.